The red carpet will always be a point of attention for any awards ceremony and the organisers of the Star Awards definitely know this. On that note, it seems this year's batch of nominees got the memo because they absolutely slayed on the red carpet. With the exception of a couple of fashion faux pas, the Walk of Fame was on fire and on point. One thing that we were most excited to see - the return of the cape gowns. And we're not afraid to say that we called it. 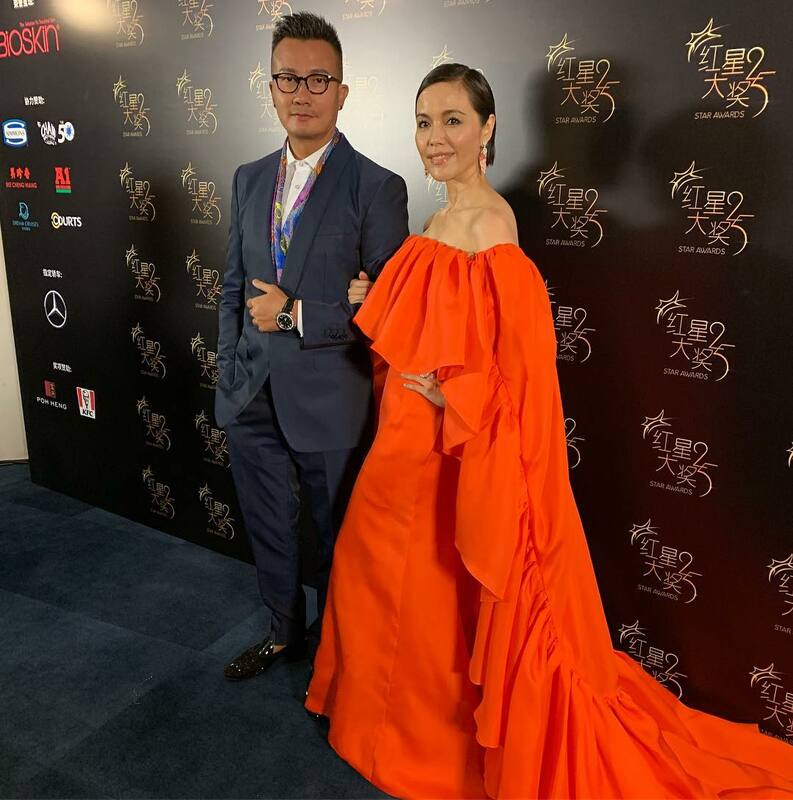 Taking a cue from Zoe Tay's classically elegant look at the Star Awards 2016, the AsiaOne team was hoping for someone to wow us with a cape gown. With that, let's take a look at some of this year's best-dressed celebrities. Thank you Jesseca, for bringing a tear to this writer's eye. It may be a stretch, but we say this gown may go down in history as one of the most memorable looks on the Star Awards' Walk of Fame. The beautiful cape-sleeved Alex Perry gown is giving us fashion, giving us class, giving us flair and serving red carpet realness. And that's not even taking into consideration the $2 million worth of Tiffany & Co. bling she's wearing. 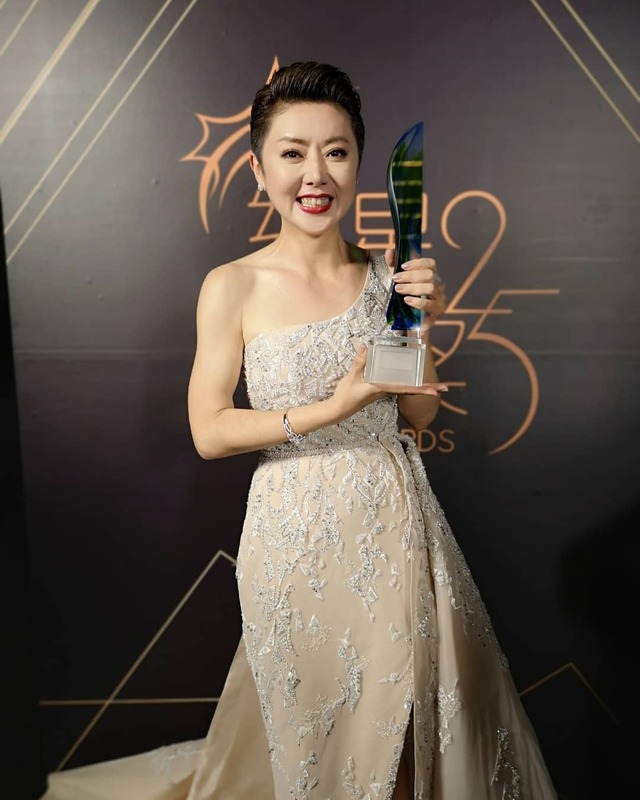 Ahh, the Queen of Caldecott Hill and resident Ah Jie never fails to stun and drop jaws on the red carpet. Looking at her off shoulder gown with frilly sleeves that double as a train and a cape, we cannot help but wonder... did she hear our prayers? Because hallelujah, the goddess looked absolutely divine. 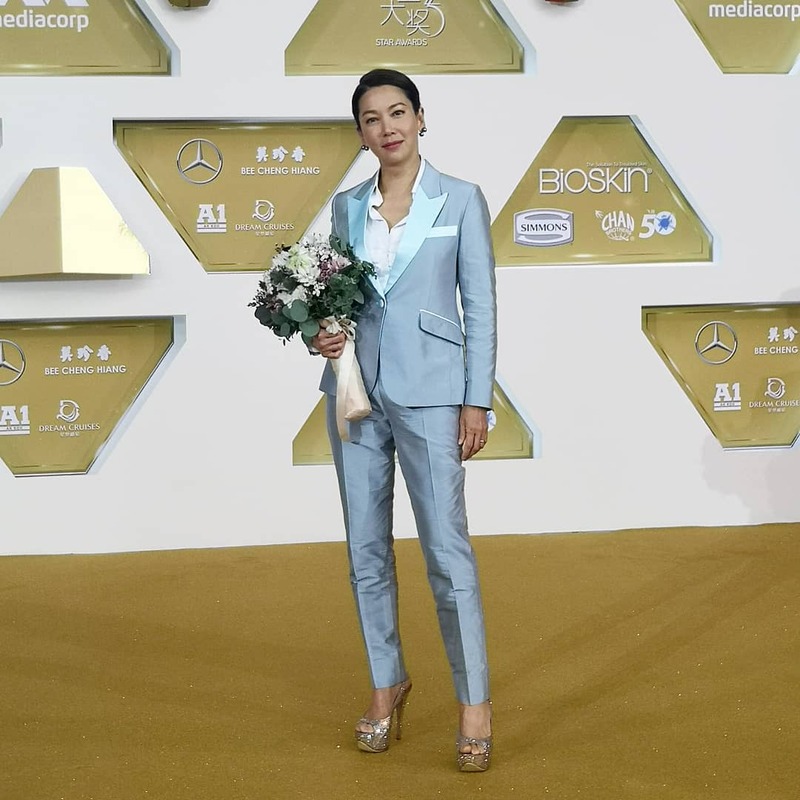 And of course, she won't be seen without her BFF Chen Hanwei, who is looking dapper in a very safe navy blue suit. It's a classic look and there's nothing wrong about it. In fact, he's even wearing his age well. With this crop of veteran actors aging like fine wine, perhaps it's time to introduce a new category called the Silver Foxes? Just sayin'. The talented Singaporean host and actress is a strong, independent woman who needs no man. And she kicked off the Walk of Fame with grace and aplomb in this 'gorgine' (a portmanteau of gorgeous and fine) one-shouldered gown in peach. Let's be real - it may have been a #basic style but we could not take our eyes off her as she worked that red carpet. Ooh honey, the Noontalk Media artistes appeared in full force on the red carpet garbed in black and served so much face and Entourage hotness. What are we talking about? Of course we were referring to the gratuituous cleavage that Gavin Teo, Timothee Yap, and Zong Zi Jie were flaunting. Their muscular chests were peeking through their black suits and that wistful sigh you heard was probably the sound of relief from appreciative viewers who had their thirsts quenched. On a serious note, one can't help but notice that their all-black ensemble could be a mark of respect to the late Aloysius Pang who was a part of their family. Look, there were too many well-dressed celebrities who graced the red carpet and deciding who deserved the final spot on the list made our head spin. However, we gave it to Kym Ng because she really nailed it this year. We're all familiar with Kym as a risk-taker on the red carpet - whether it's her hair or fashion - and Lady Luck has not always been kind to her. This year, though, she finally decided to play it safe with a powersuit and we're totally not mad about it. It's always refreshing to see a woman pull off a suit and break the boundaries between the masculine and feminine. Plus, her look when she was collecting the award for All-Time Favourite Artiste was gorgeous too, making it a win on both counts. So, that's it for Team AsiaOne's list of best dressed celebrities for this year's Star Awards. Do you agree? Before you start throwing more names out, we admit this list is by no means exhaustive and trust us, it was a real pain to leave out our Crazy Rich Asian hottie, Pierre Png.